No. 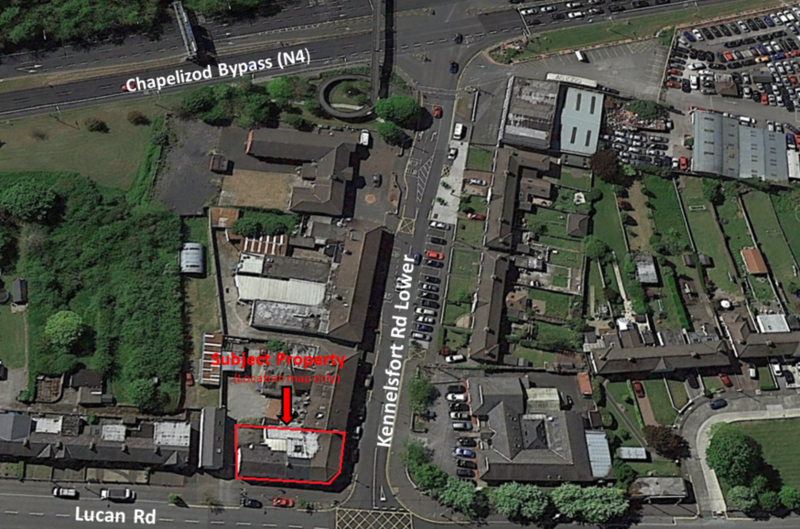 2 Kennelsfort Road Lower can be sold with full Vacant Possession or with the benefit of a new lease on the ground floor. 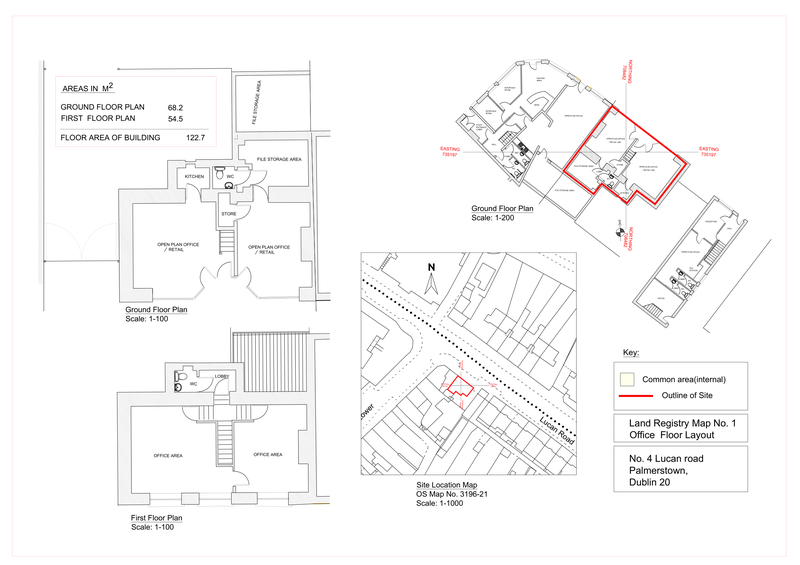 Opportunity to convert the first floor into 2 apartments (SPP). 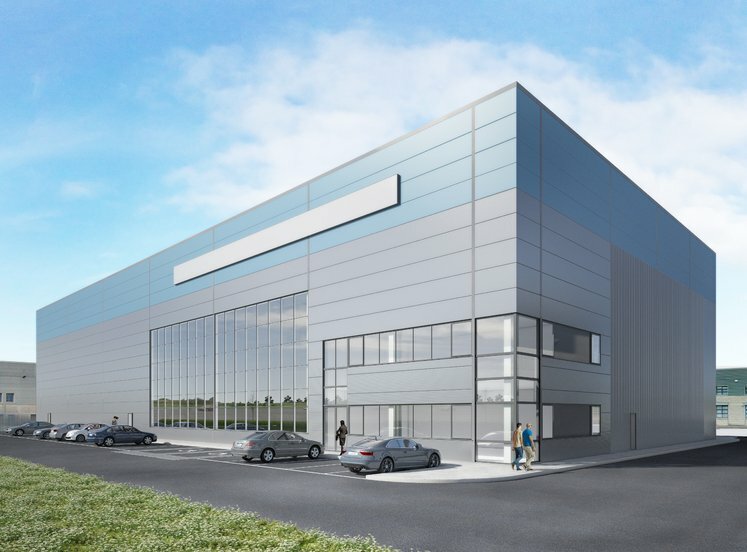 Palmerstown is located in west Dublin on the N4 (Dublin to Sligo road) approximately 6 km west of Dublin City Centre and is situated adjacent to the M50 (Junction 7). It has a population of just under 12,000 people (CSO Census 2016). 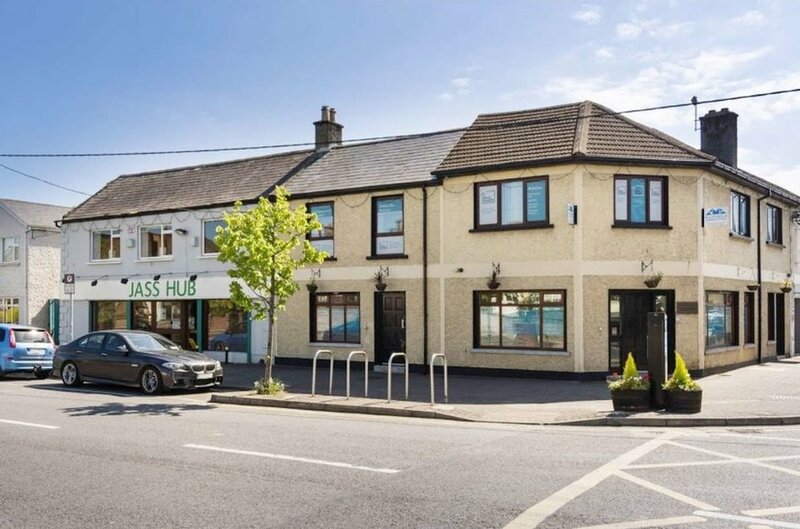 The subject properties are situated in a high profile position in the heart of Palmerstown Village. Nearby occupiers include Ulster Bank, Aldi store and Stewarts Hospital. The wider area is a mix of commercial and residential properties. The immediate area is well served by numerous Dublin bus with routes which include 18, 25, 25a, 25b, 25c, 25d, 25x, 26, 51d, 66, 66a, 66b, 66x, 67, 67a, 67x, 76a, 845 and the 847 within the vicinity. 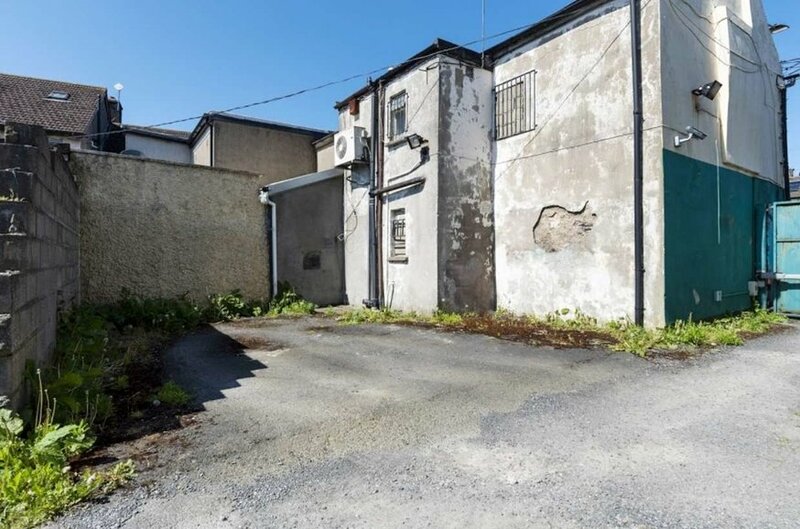 The property comprises a two storey, corner, mid-terrace building with dual frontage onto Kennelsfort Road Lower and Lucan Road. 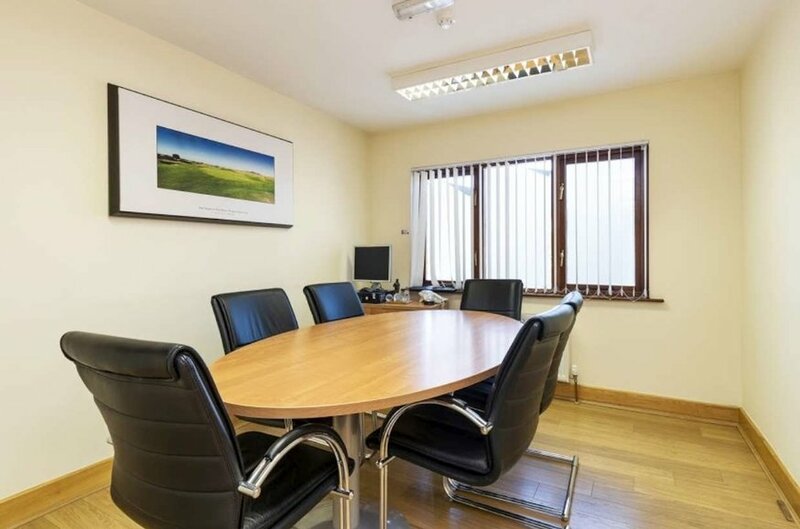 The entire property is in office use and extends to 259.54 sq.m (2,790 sq.ft). 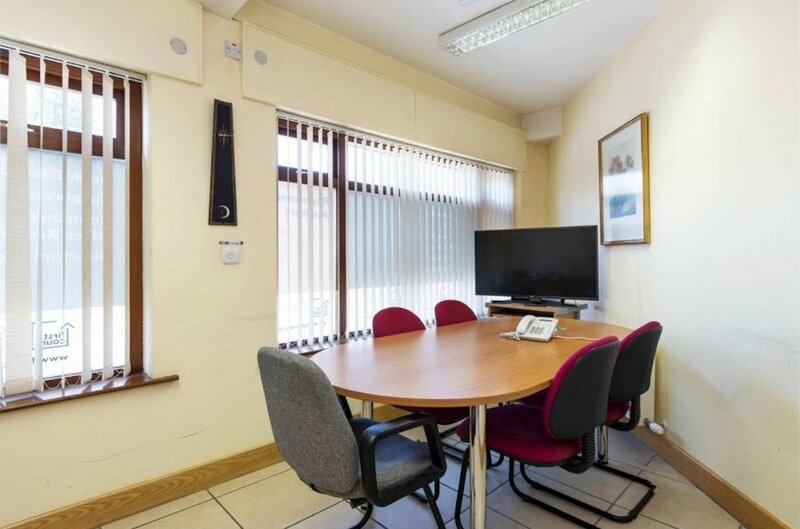 Internally the ground floor comprises a reception area, mixture of open plan and cellular offices/meeting room, storage area and W/C. 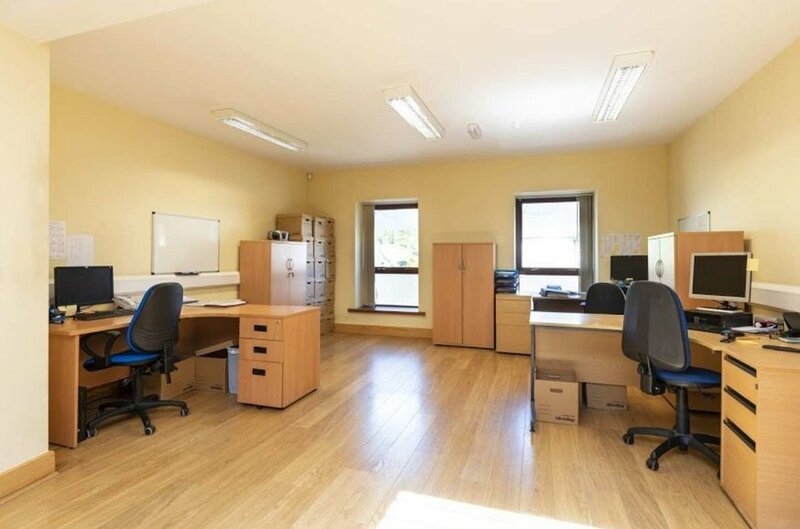 The first floor provides for further similar office accommodation to include open plan and cellular offices and storage area. The first floor benefits from separate on-street access. 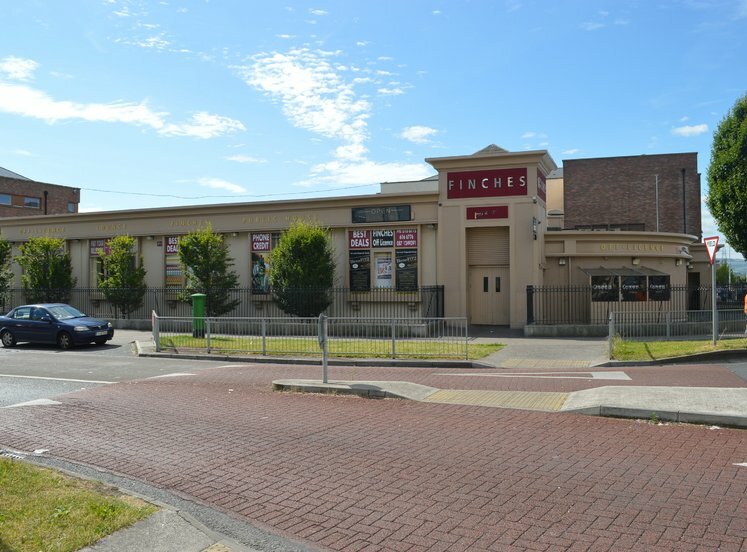 The building is available with vacant possession. 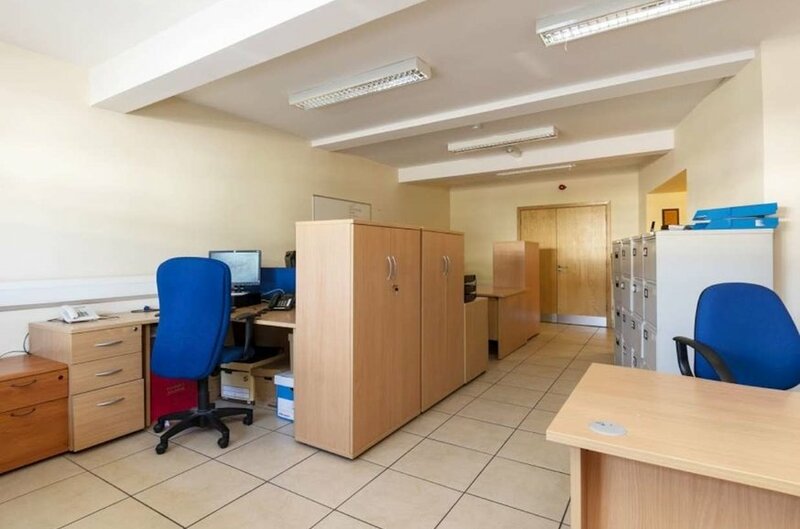 The property comprises a two storey, end of terrace building which is laid out to provide retail on the ground floor with ancillary offices at first floor level. The property extends to 122.7 sq.m (1,321 sq.ft). 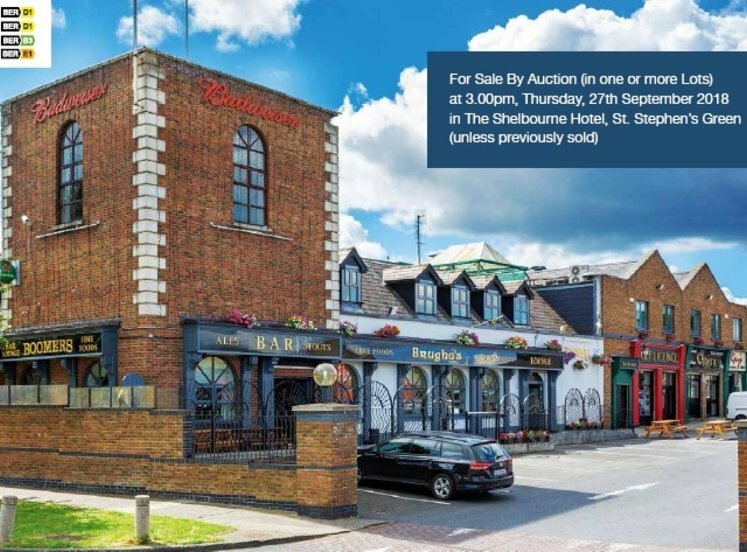 The entire property is currently let to Jazz Hub on a short-term lease, at a rent of €18,000 per annum. 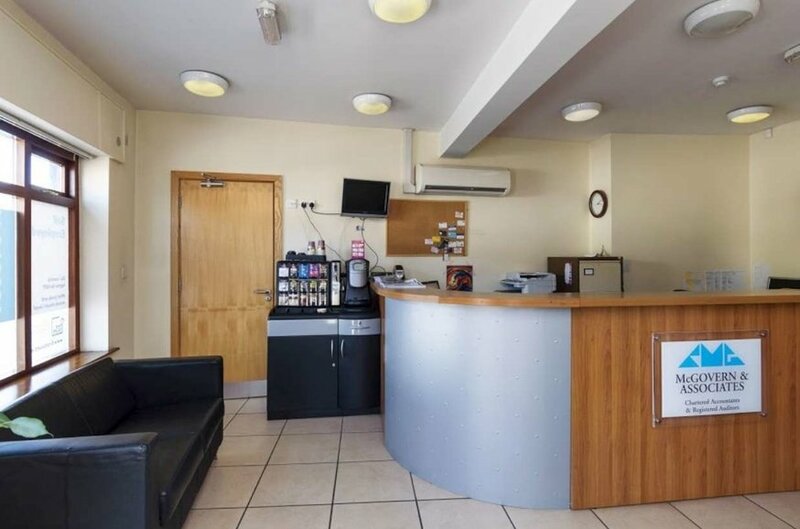 The property includes 2 secure car parking spaces to the rear, with further ample on-street parking to the front of both properties. 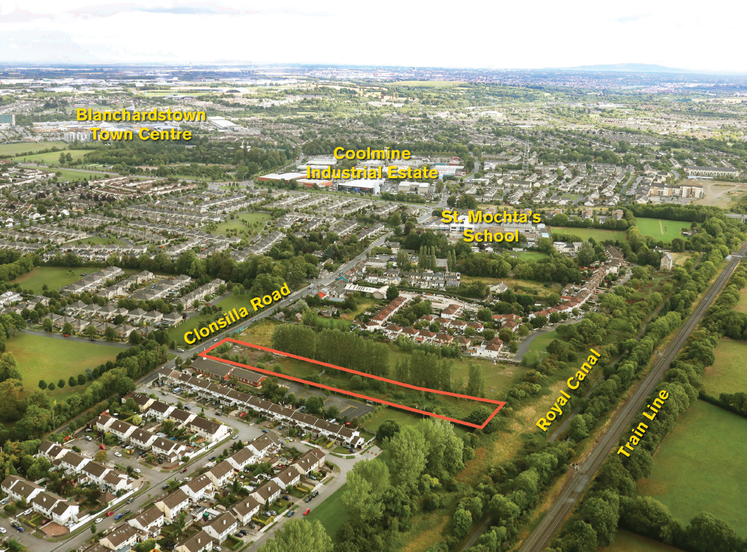 The property is zoned “VC” under the South Dublin Development plan 2016-2022. 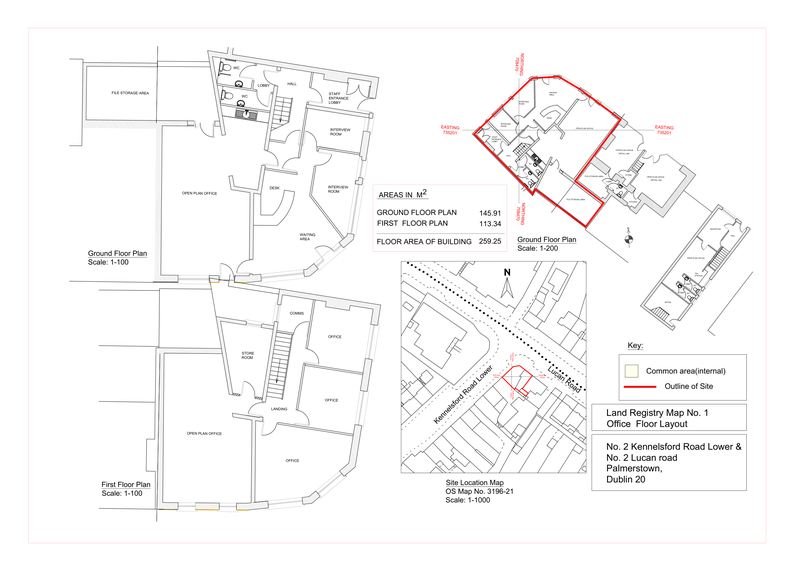 Uses permitted in principle include bed and breakfast, betting office, car park, crematorium, childcare facilities, community centre, conference centre, cultural use, doctor/dentist, education, enterprise centre, funeral home, garden centre, guest house, health centre, home based economic activities, housing for older people, live-work units, nursing home, offices less than 100 sq.m, off-licence, open space, petrol station, primary health care centre, public house, place of worship, public services, recycling facility, residential, residential institution, restaurant/café, retirement home, shop-local, shop-neighbourhood, social, club and veterinary surgery. All intending purchasers are specifically advised to verify all floor areas and undertake their own due diligence.